The bed and breakfast Ca' Dalisera is located in the historic center of Venice, just behind Piazza San Marco, in Calle del Ridotto. In just 1 minute you could arrive at the boat stop, the best way of moving around Venice, so you could easily reach whatever place in the city center. Ca Dalisera B&B has double rooms, spacious and comfortable rooms with private bathroom and toilet, sink, shower and complete with all accessories. All double rooms have air conditioning running at time slots during the months of July and August. 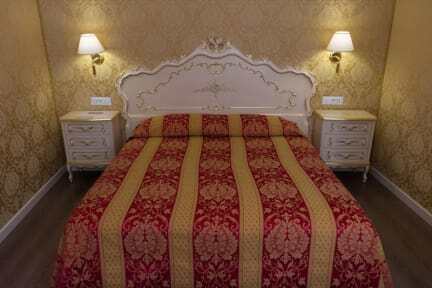 The Ca 'Dalisera B & B has three rooms, two of which are dedicated to guests. Both rooms are well appointed and comfortable. The room will be assigned at check-in. Hairdryer is available on request, free of charge. Wi-Fi Internet connection is available in all the building. Telephone availability is guaranteed for every need 24 hours a day. 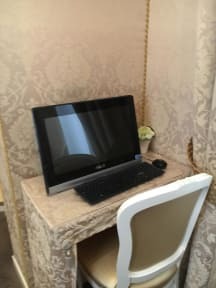 Each room is equipped with full furniture: beds, bedside tables, luggage stand, wardrobe, full set of bed linen, electricity supply, hot and cold water, heating, air conditioning during July and August, cleaning. Check in from 08:00 to 12:00 noon. Taxes not included - occupancy tax 3.00 EUR (high Season) per person per night and 1.50 EUR (low season). A 15 euro extra charge will be applied for check-ins after 10 pm. A 15 euro extra charge will be applied for reservations of only 1 night. Extra beds cost 25 euros per person. Only 1 extra bed allowed per room. Extras will be paid in the hotel and are not included in the total price.